CILEGON, 11 July 2018 – The Government of Indonesia alongside the AHA Centre and other related stakeholders hold a preparation meeting to finalise the concept and scenario of the 7th ASEAN Regional Disaster Emergency Response Simulation Exercise (ARDEX) 2018. The actual event will be taking place in November 2018. Cilegon City was chosen by BNPB to host the event which will involve partners from the neighbouring ASEAN Member States. Throughout the preparation and the conduct of ARDEX 2018, the Indonesian National Disaster Management Organisation (BNPB) and the ASEAN Coordinating Centre for Humanitarian Assistance (AHA Centre) invite the participation of inter-sectoral agencies. The involved partners include ministries/departments, national armed forces/police, the Provincial Government of Banten, the City Government of Cilegon, the industrial area management team in Cilegon, business owners, civil society organisations (CSOs) and partners from the other ASEAN Member States. The 3-day planning meeting aims to bring the following results for the conduct of the actual ARDEX on 4-10 November 2018: a table top exercise (TTX), a command post exercise (CPX) and a joint field training exercise (FTX). The Final Planning Conference (FPC)/ Final Exercise Planning Team (EPT) Meeting main objectives include identifying potential participation and contribution of ASEAN countries, securing the availability of deployable personnel as participants, planners, controllers, referees and observers. In addition, all involved attendants will also discuss the logistical aspects and equipment that will be required for ARDEX. 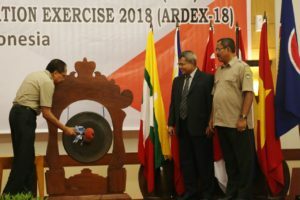 BNPB as the lead organiser of ARDEX 2018 aspires to implement the adopted concept and scenario to a satisfactory level. 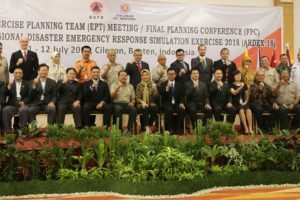 Any in-depth recommendation resulting from the exercise is expected to assist all involved actors in developing transnational emergency response plans, especially for the City Government of Cilegon. “We hope that every partner who is involved in this planning meeting will actively participate and share their input to support the success of our regional exercise. All efforts that we have invested in coordinating, communicating, and training together will determine the success of the exercise as well as framework to operationalise collective response to any disaster-affected area in Southeast Asian region,” stated the Deputy Minister of Prevention and Preparedness of BNPB, Mr. B. Wisnu Widjaja during his opening remarks at the FPC/EPT Meeting, on Wednesday (11/7) at Royal Krakatau, Cilegon, Banten. Wisnu adds that the intersectoral involvement of multiple actors in the development of ARDEX will enhance the collective resilience of ASEAN in addressing disaster risks. He acknowledges the contribution of the City Government, the Provincial Government, the private sector, CSOs, as well as the regional counterparts. Based on scientific risk analysis as well as national assessment, Cilegon is identified as one of the cities that is most prone to earthquake and tsunami. As an industrial city, Cilegon’s vulnerability to natural disasters consequently highlights the potential secondary disaster risk such as hazardous-material incidents. This reason formed the basis of BNPB’s decision for choosing the area as the simulation exercise site. 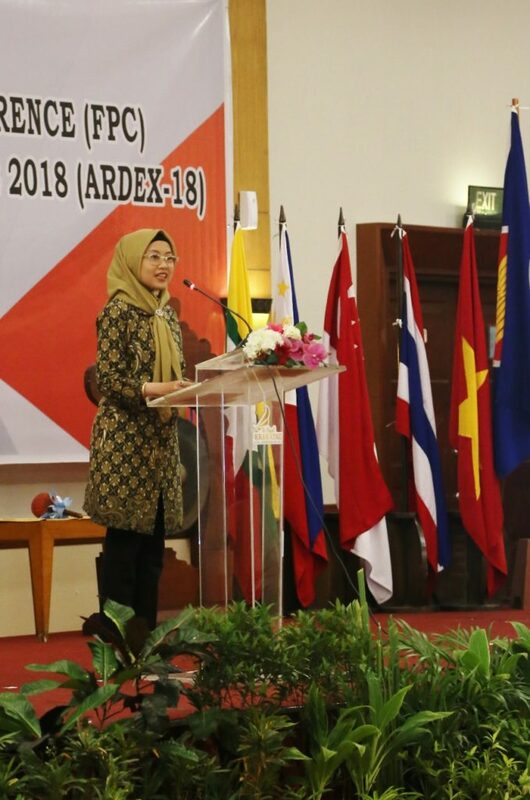 In general, ARDEX aims to test and evaluate the interoperability of ASEAN mechanisms in information-sharing, coordination, and emergency response at times of disasters. 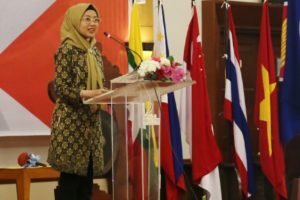 ARDEX also analyses the roles of AHA Centre as the implementing agency to operationalise the ASEAN’s vision embodied in the Declaration on One ASEAN One Response: ASEAN Responding as One in the Region and Outside the Region. AHA Centre is based in Jakarta, Indonesia.